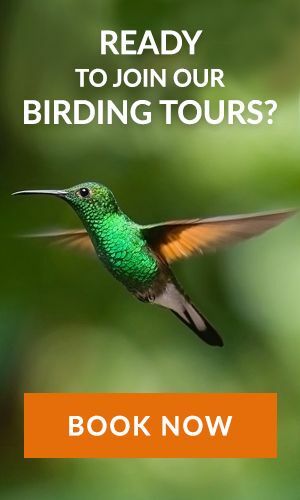 There are many resorts in Costa Rica, that is why we created a useful list of all-inclusive resorts because we know that after you are done with your research and finally decided to visit Costa Rica for your family vacation, the most important and hard part is finding the all-inclusive resort. Working out if the room has enough beds if breakfast costs extra, etc can be quite stressful. Worrying about nothing and enjoying the beach with amazing meals is all that you need on a holiday. To avoid some of this stress, we have collated a list of Costa Rica resorts to help you make a trip full of mirth. Just an hour away from Daniel Oduber Liberia International Airport, this resort features an outdoor swimming pool and spa. It is located on the beautiful beach of Playa Langosta sea and next to Las Bualas National Park. It is the best all inclusive resort and a perfect choice if you are a nature and beach lover. Each of its room offers great Pacific Ocean views from its balcony and is equipped with air conditioning, minibar among other amenities. The stay at Occidental Tamarindo includes three buffet meals a day with snacks, wine, juices, and bottled water. The activities like swimming, beach volleyball, casino, karaoke, entertainment and live music at night are also included in the program. The resort has a spa that offers several treatments and massages to its guests. Also, the resort is awarded the Blue Flag which certifies the safety and cleanliness of its beaches. 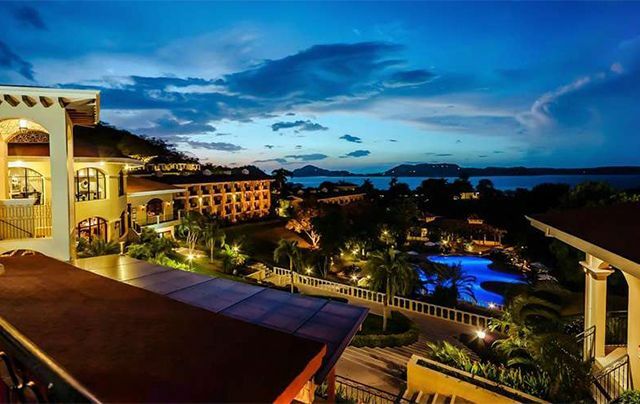 One of the best all-inclusive resorts in Costa Rica is Andaz Península Papagayo Resort. Located hardly 30 minutes drive from the International Airport, this luxury resort stands quietly and invisible among the trees, overlooking the sapphire blue waters of Culebra Bay. The rooms and suites of this resort are decorated with woven textiles, solid woods and carved artifacts that highlight the rich Costa Rican aesthetic. Each room offers a breathtaking view of the tropical dry forest from its balcony. Plunge pools are available in many of the suites including mini bar and wireless internet connection to all the guests. 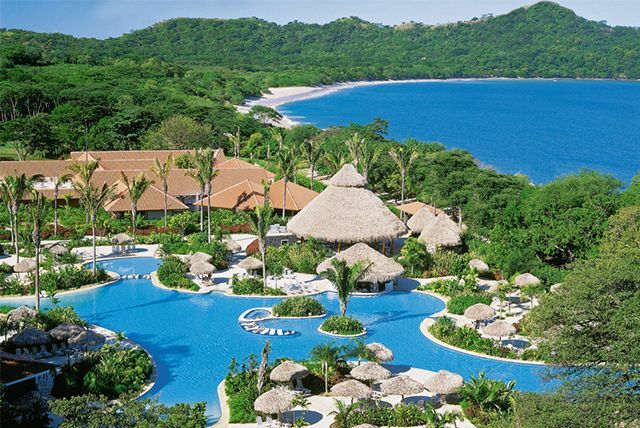 This resort is located at around 20 minutes drive from Daniel Oduber Liberia International Airport in Guanacaste. It is situated on a hill which is surrounded by black volcanic sand beach. This all-inclusive resort offers an intimate and relaxing experience. All the luxurious suites have finely appointed amenities and spacious balconies with garden view. Also, it has amazing places like a cafeteria, four restaurants, and five bars to relish the most exquisite dishes for the guests. Spa with beauty salon, free Wi-Fi, gym, business center, gift shop, laundry service, entertainment center, 24*7 room service and a variety of activities during the day and live entertainment at night are some of the facilities for guests. 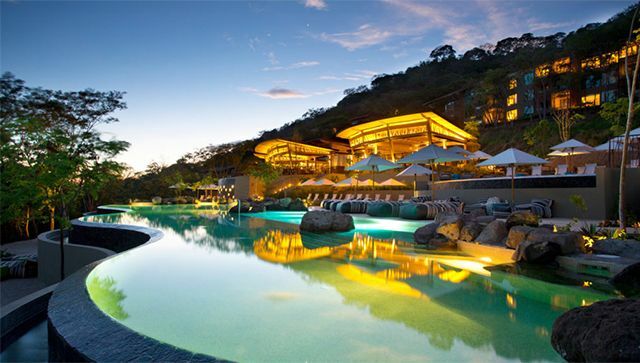 45 minutes from the International Airport, Four Season is one of the top resorts in Costa Rica. It is situated at the Papagayo peninsula near to marina, golf course, and heliport to offer guests a 5-star experience. The golf course which is near to it is ranked among the top 100 golf courses outside the US. 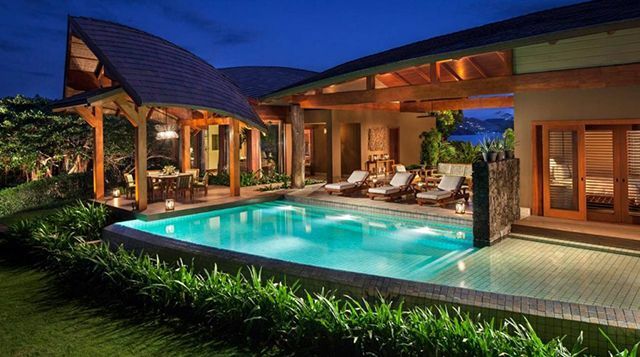 Guests can also opt to stay in villas or estate homes in this resort. All the rooms in this resort are equipped with top-class amenities. The resort has four restaurants specialized in Italian and Latin cuisine using local Costa Rican ingredients to offer exclusive dining experiences to their guests. 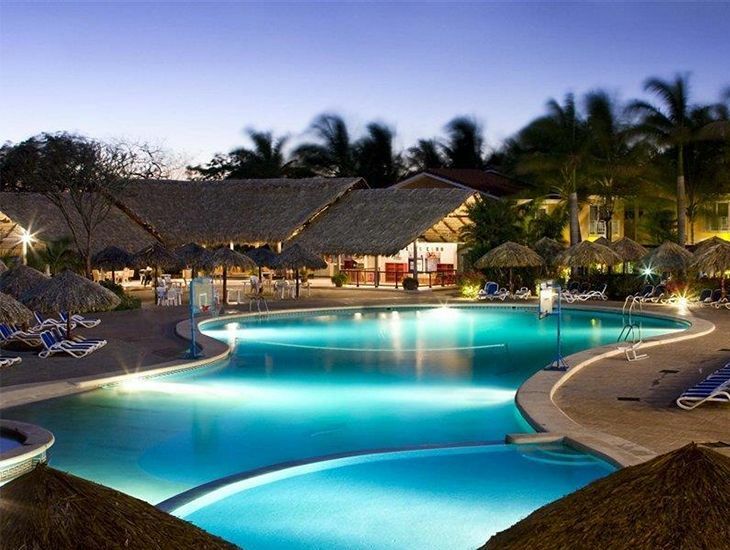 This all-inclusive resort is around 1 hour from the Daniel Oduber Liberia International Airport. 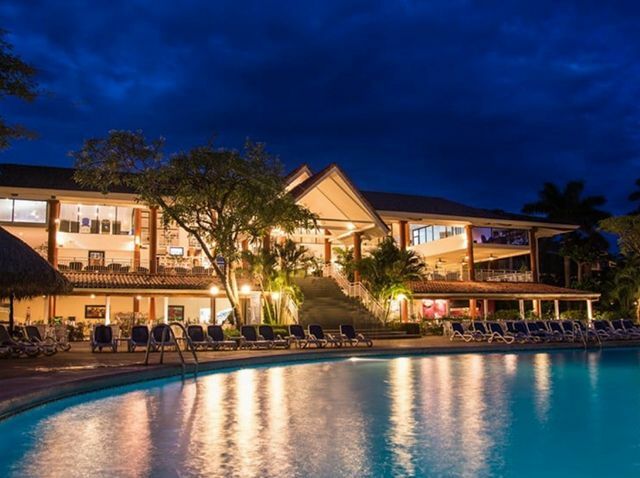 Located near amazing beaches and lush forests, this resort offers all the services of a 5-star all inclusive family resort in Costa Rica. The resort has eight restaurants and six bars of the gourmet cuisine for its guests. Also, you can enjoy spending time in swimming pools, in golf ground or have a relaxing time in a spa.